In need of the perfectly curated gift but don't have the time? Look no further than Bonjour Boxes! We specialize in everything from client gifts, wedding welcome boxes, will you be my bridesmaid boxes, destination weddings, luxury events, incentive travel, corporate amenities and swag, birthday gifts, just because boxes, sorority gifts, bar & bat mitzvahs, non-profit gala gifts, and everything in between. We have scoured the country to find the most amazing creative partners to help create the perfect gift! We have taken the time to sample the perfect chocolate, find the cutest copper cup, the most soothing essential oil aromatherapy, the best pair of sunglasses, the tastiest homemade caramels, we could go on and on! From Brooklyn to Beverly Hills, Nashville to Portland, Maryland to Texas, and everywhere in between, we believe in working with the best and most passionate people the country has to offer! You may notice that our boxes are vivid. We feel that living in technicolor is the most fun and our gifts reflect that! 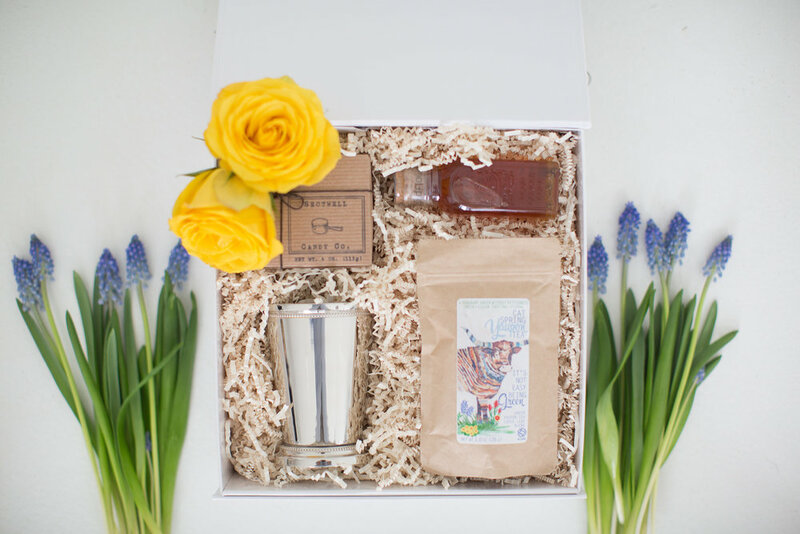 At Bonjour Boxes, our job is to make your gifting, effortless. Let us wow your next client, wedding guest, friend or family member with a fabulous gift overflowing with thoughtfulness and fun! Sign up if you'd like to be the first to know about limited edition boxes and special offers!